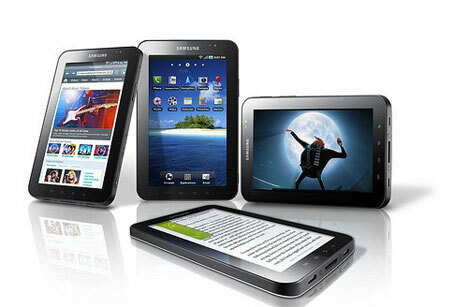 Samsung Galaxy Tab is one of the coolest gadget in town and am sure that everyone wanted to have this cool gadget. I had the chance to own one after applying for a very affordable Smart Plan and get the Samsung Galaxy Tab for free. Yes, the tab is free for Smart Gold Plan 2,000 and it is one of the best way to have it. Why have a Samsung Galaxy Tab? The Samsung Galaxy Tab is like an iPad and an iPhone rolled in one. Yes it is both a phone and a pad. You can surf the internet, download applications, play games, use Facebook, use Twitter and even surf the internet fully. It is handy and very trendy as well. 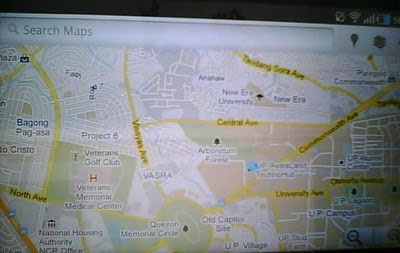 Samsung Galaxy Tab also comes with a GPS tracker. GPS means Global Positioning System wherein your tab will send a signal and via Google Maps you can track your exact location up to the street level. 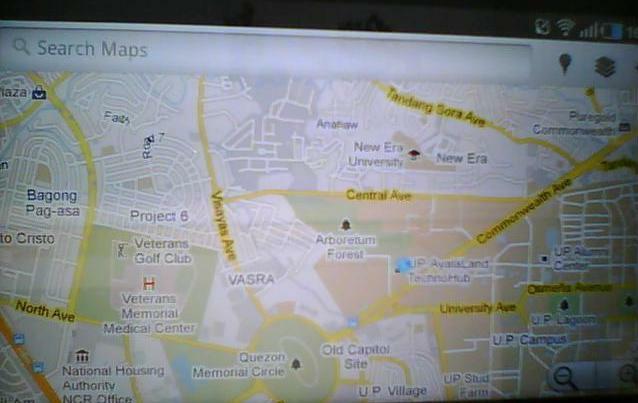 This makes you capable of knowing where and how to go to a place at the touch of your fingertips. I have used this in going to places that I don't know and it actually works. You can see the pointer moving as your vehicle moves along the road. As a mobile phone, well it is bulky and big for a phone to be used in the usual way. You can use it like your usual mobile phone but you will look like a fool holding a walky talkie but who care right? The best way to use the Samsung Galaxy Tab as a mobile phone is through a headset and if you are planning to use it as a phone then you have to keep your headset always plugged in. Sometimes the headset does not readily fix on the phone so you have to keep it there. The kit comes with replaceable ear buds just in case. Mind you, I do like the headset of the Samsung Galaxy Tab which fits right through your ear. I do not recommend buying or getting a Samsung Galaxy Tab for people who only wants to have a brand new mobile phone because this gadget is best used as a mobile device and the mobile phone communication capability is just an added thing. 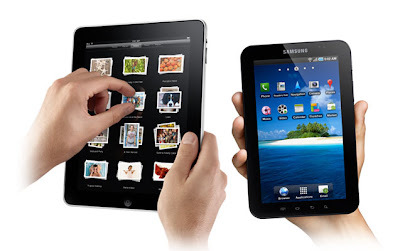 Samsung Galaxy Tab has the ability to synchonize with your Google Account. Thus, you will have the capability to be alerted on new e-mails. That's not all, you can backup all your important phone data via Google and avoid the worry of loosing everything whenever something happened to your phone. Of course when you lost your phone that is another issue alltogether. I also like the Samsung Galaxy Tab's Live Wallpaper. It spices up your phone and turns it into an interactive device. You can play chess and Sodoku while your phone is on a still mode. I have also tried installing insects live wallpaper and they are really creepy. Since my plan is unlimited, I can readily get various applications through the Android Market. There are lots of free applications on the Android Market from games to great features for your phone. When it comes to memory well it has a 13GB built in phone storage plus the 2Gb additional internal memory. It can also hold an expandable SD card up to 32Gb. Graphics wise and performance wise, the Samsung Galaxy Tab does have a problem when it comes to so much graphics while surfing the internet. I have a problem browsing some heavy websites like Anilinks.com when I am on the tab. The problem perhaps is on the limited memory of the Galaxy Tab. Samsung Galaxy Tab also has a camera which is 3megapixels. This camera is just enough to capture stunning photos. It also has the ability to view high definition videos. 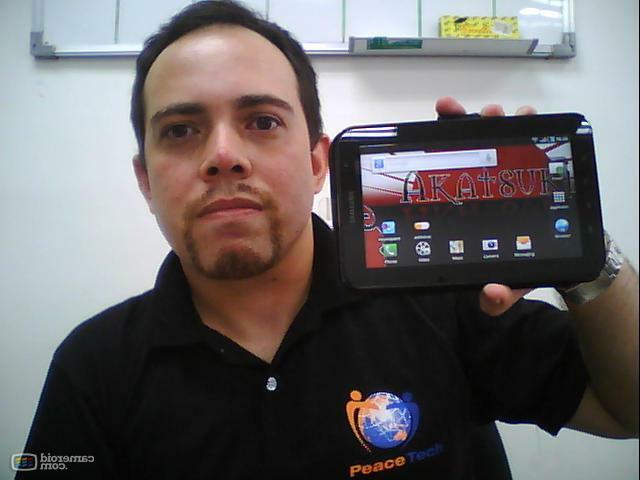 Overall I think the tab performs well and is indeed a device worth having. If you plan to get a Samsung Galaxy Tab, the offer of Smart Gold is a must. With their plan 2,000 you get an unlimited date connection through the internet, plus 250 SMS messages and 150 minutes of call. Smart to smart rates is also relatively cheaper. Overall rating for the Samsung Galaxy Tab? Well, I will give it 9/10. There are room for imporovement specially on graphics. particularly unlimited data plan then it is unlimited internet.